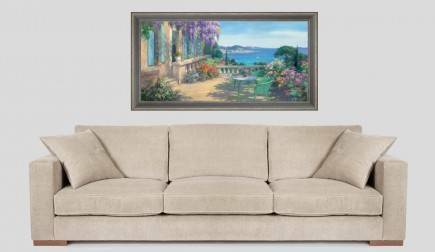 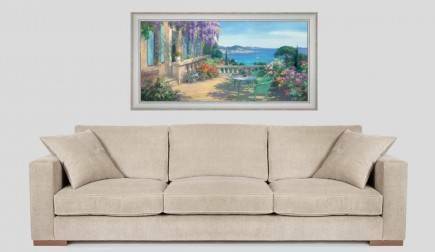 Rosebushes, gerania and magnificent wisteria at the entrance of this beautiful house with terrace with baluster which dominates the sea and the boats. 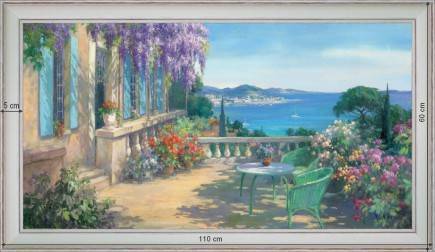 A perfume of "Côte d'Azur". 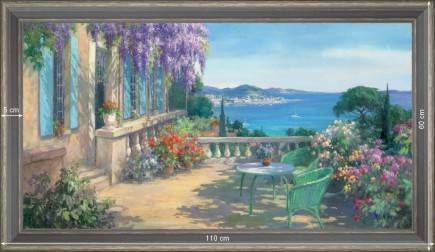 "Set back from the seaside, far from the animated lives of the maritime spots, the haven of peace and the tranquillity."